Nourison Perris Hand Woven Taupe Area Rug - 8' x 10'6"
This elegant taupe Perris Collection rug combines luxurious style with artful construction. Dense wool loop pile provides wonderful texture with its subtle monotone high-low weaving. 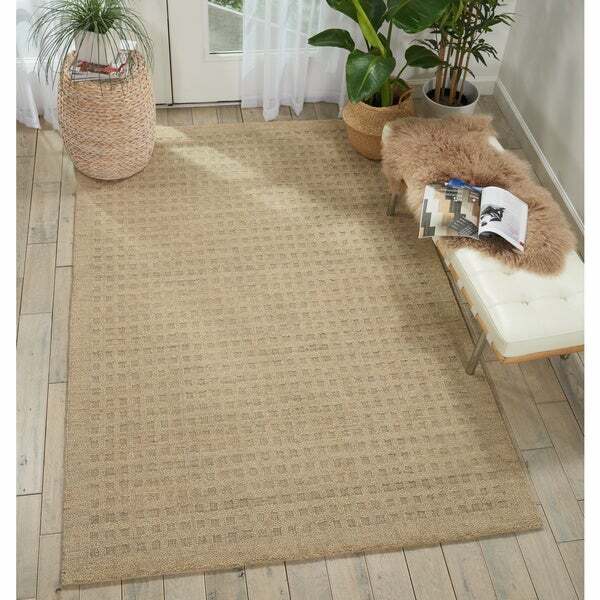 kathy ireland River Brook Taupe/Ivory Area Rug by Nourison - 7'9" x 9'9"